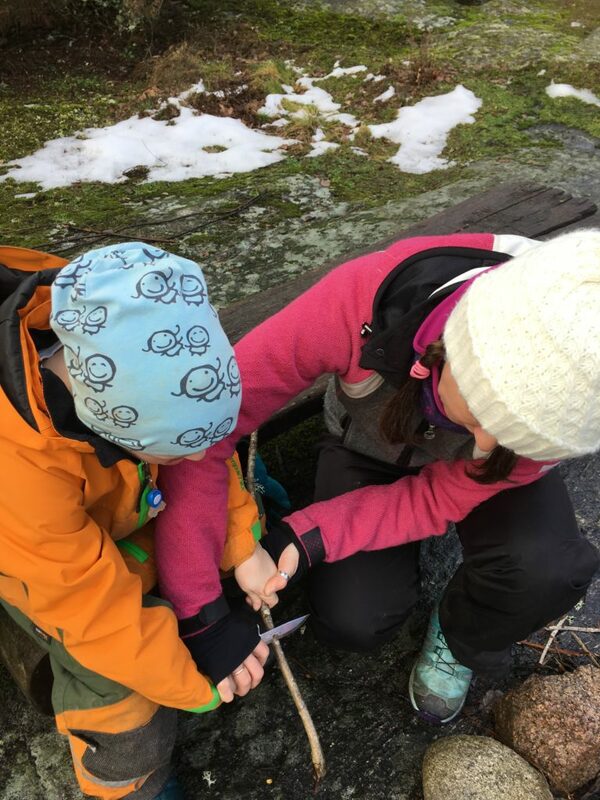 Choosing a knife for children to use in the outdoors can be a little overwhelming as there are lots out there. Bushcraft and survival knives can be quite expensive too, so it definitely pays to know what you want to use it for, and who is going to use it as well. 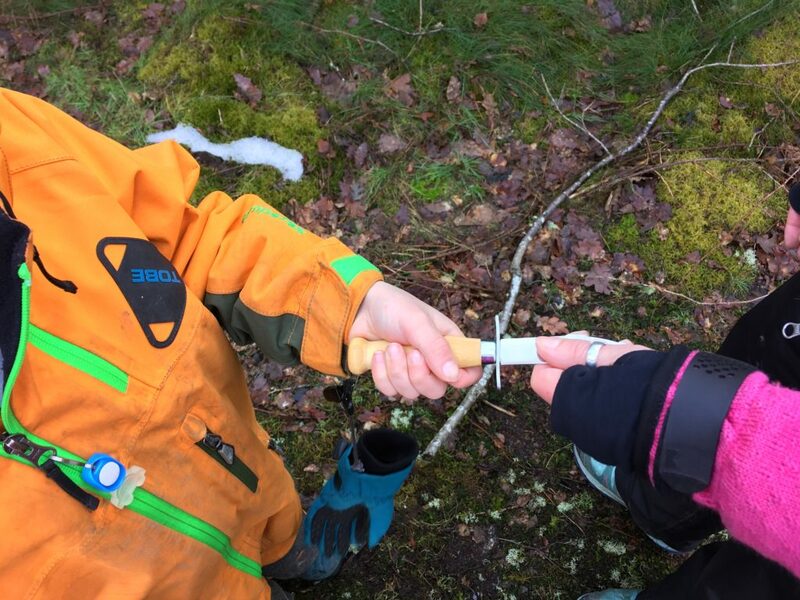 When I was choosing a knife for our children to use, they were beginners, were going to start by using it for whittling, and I needed one that would suit slightly unpredictable twins who were 7, to a very reliable and sensible 10 year old. So I had a firm set of guidelines in my mind already. 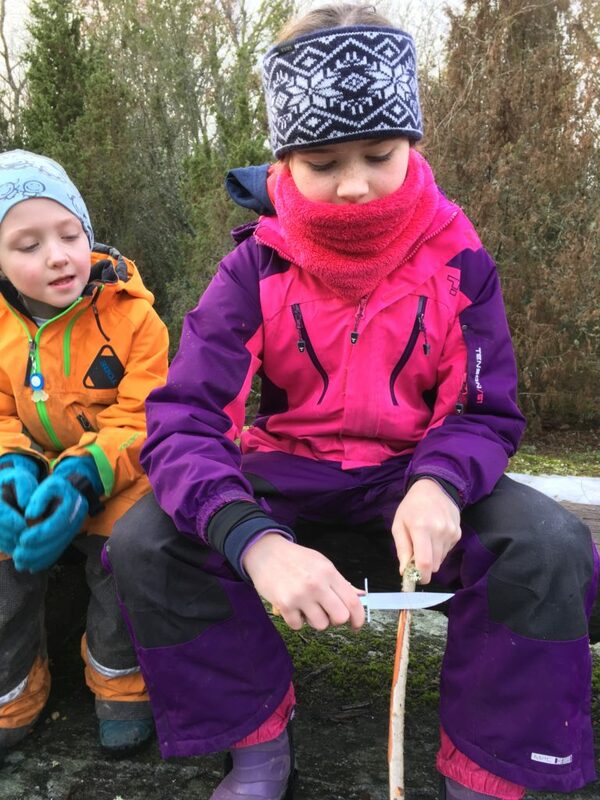 This post aims to take you through some tips for choosing a knife, the benefits of children learning to use a knife, and some rules for handling knives. Hopefully it will then be helpful when you want to go choosing a knife for children. Consider the age of the child as well as how responsibly they can behave. Consider whether you would want them to have a fixed blade or not. This usually depends on their experience with knives, and the reason behind using it. Do you want it to have a blade guard? If so would you like it to be single or double? 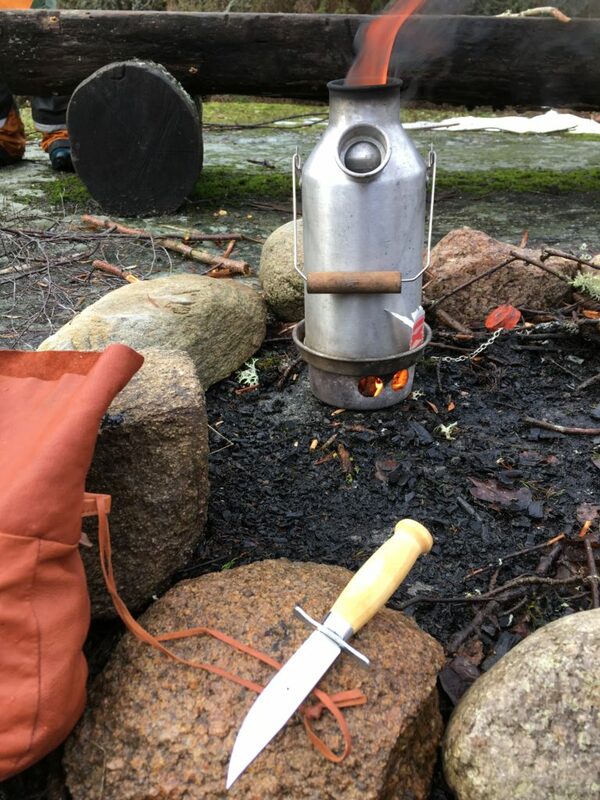 We have chosen a Morakniv Scout 39. 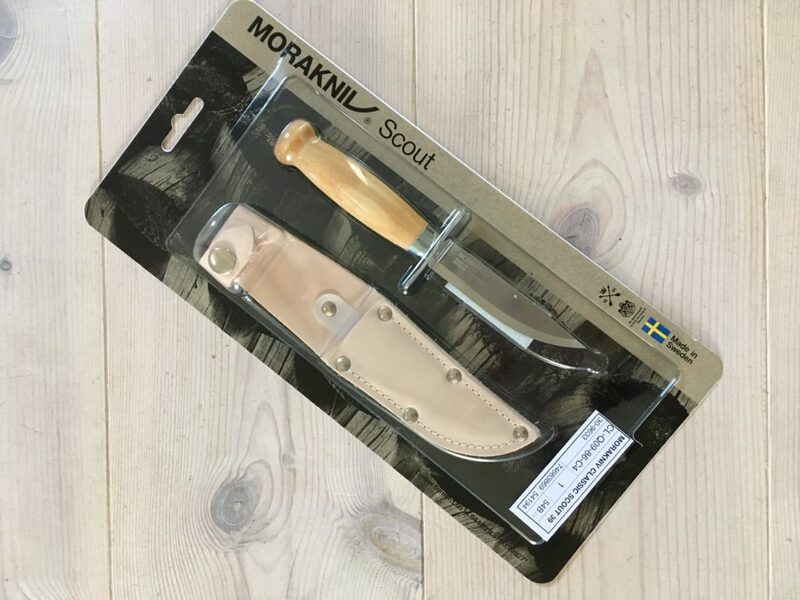 They have a series of knives made for children/beginners, and this is the second one up in the series. The difference with the one a level below (Safe Scout 39) is that ours has a pointed blade, which I felt my three were ready to handle. It still has a double blade guard, as our twins are still quite small. The next one up would be a Woodcarving Junior, which has a shorter blade, a pointed edge, and a single rather than double blade guard. Whilst this would be a fine knife for our little lady, I was unsure whether it was suitable for our double trouble just yet. Using the knife can make them concentrate their mind. Whittling and crafting with it, like we do, really makes them focus. It is a silent concentration they use. They are learning knife control and skills. They benefit from the pleasure and satisfaction of making something. They are learning new skills. They learn respect for their tools. In doing something like whittling with the knife, they are enjoying the present moment. Always have a first aid kit around. Always supervise the child using the knife. Do not cut branches and sticks off trees or bushes. Use what is on the ground. Make a designated area for the activity. Preferably with stable surfaces and seating. Make sure what they are working on is stable for them to do it. Resting elbows on knees is a handy tip to make it even safer. Then they are more unlikely to stab themselves in the inner thigh. Talk through with the child how the knife is not for playing with. Do not put the knife on the ground, someone may tread on it and injure themselves. Keep it in its case when it is not being used so it does not become blunt and dirty. When passing the knife, pass handle first with the sharp side of the blade away from the palm that is passing it. Never cut towards you or the hand gripping the wood. So the hand holding the wood should always be higher than where the knife starts to cut downwards. Once the session is over, the responsible adult keeps the knife for safe keeping. I hope that has all been helpful in giving some information about what to consider when you are choosing a knife for children. They can make a great bushcraft present for a child as well. Let me know your thoughts. Have you chosen a knife for a child before, and if so what was your preference? What would your child use their knife for? Great tips. 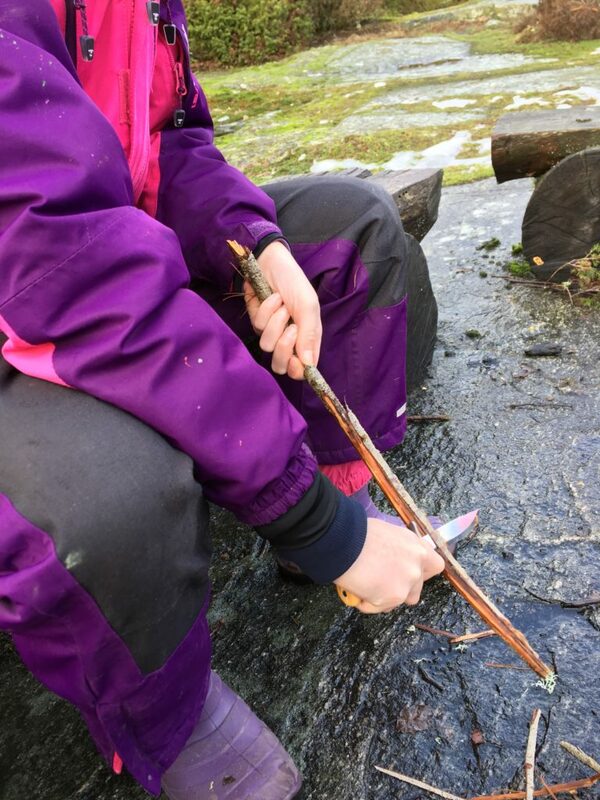 We’re not as outdoorsy as you but we bought a safe kitchen knife for our eldest last year so she can start helping cook and prepare things safely. So far she has all her fingers in tact! 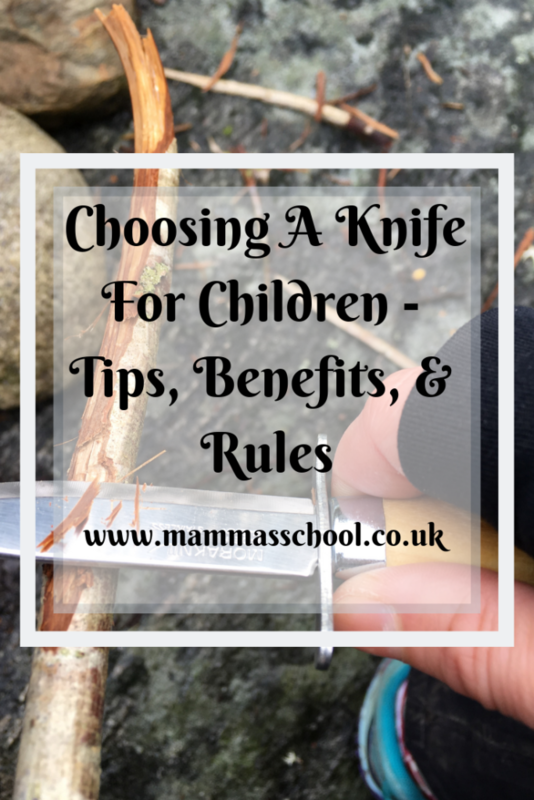 I think being able to use a knife is a great life skill for kids – this is a really interesting guide to how to introduce children to knives responsibily. Really good advice there – thank you so much. 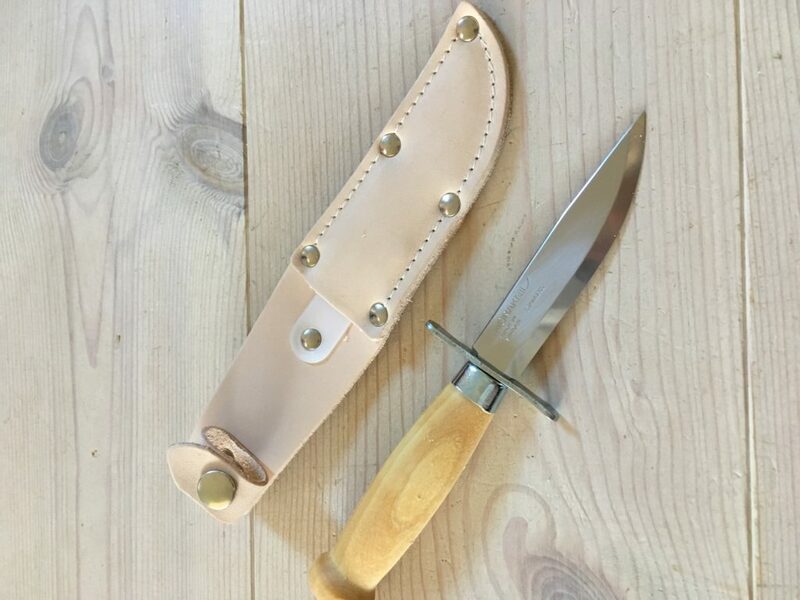 I used a knife like these in Guides many years ago – and I was taught all the tips you mention – and then didnt really use a knife outdoors again until I morphed into a gardener – all sorts of sharp blades. It suprises me how few people know how to use kitchen knives safely too. Ah thank you for saying that :-). They are loving whittling now we have to try and make something! This is great advice for those who are looking to buy a knife for their child for this kind of use. It’s not something I personally would do just because there would be no need for it, plus my kids are feral so…..haha! Really interesting post. It is so important to trust our children to take responsibility. Great tips and a positive way to encourage the proper use of knives as tools. It’s not something that I’ve every really thought of before.